added to our newest collection – reusables. 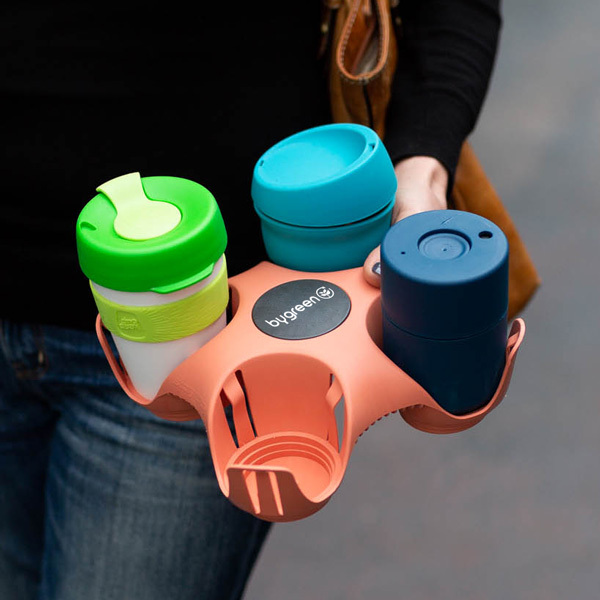 This reusable tray was designed to make your coffee run, play dates and picnics a breeze – while also being good to the environment. Most standard drink vessels should fit snugly. You can choose your preferred shade of Stay tray, and even get a custom branded one. Here’s the good news: since reusable coffee cups first hit the scene back in the day, people have diverted more than 4 billion takeaway cups from landfill. So here’s your environmentally friendly drink tray to go with it.